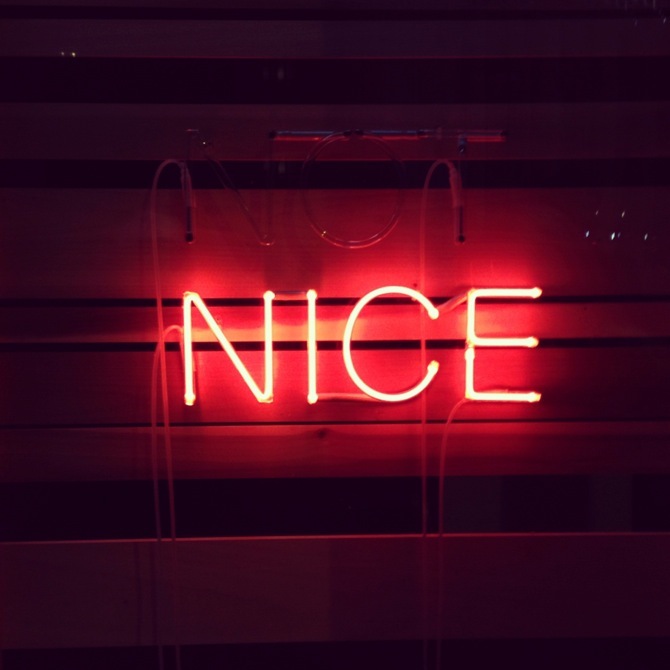 However, neon signs repeatedly undergo a phenomenon that should also be quite familiar to the realm of painting: self-doubt, expressed in cynical critiques of the neon sign via the medium of the neon sign. Even if there haven't been large self-defining exhibitions about neon art yet – compared to recent self-referential painting shows like "Painting Forever!" (Berlin, 2013), "Why Painting Now?“ (Vienna, 2013) or "Painting after Painting" (Frankfurt a. M., 2014) about which Annika von Taube wrote an excellent article on her blog Blitzkunst – a few artists used the medium to question itself. Already in the 1970s conceptual artist Bruce Nauman, whose neon-oeuvre starts in the 1950s and must be just as extensive as the one by Koshut, used the medium not only for political messages, but also for self-referential parody: "None Sing Neon Sign" from 1970 plays on its very own glowing words. 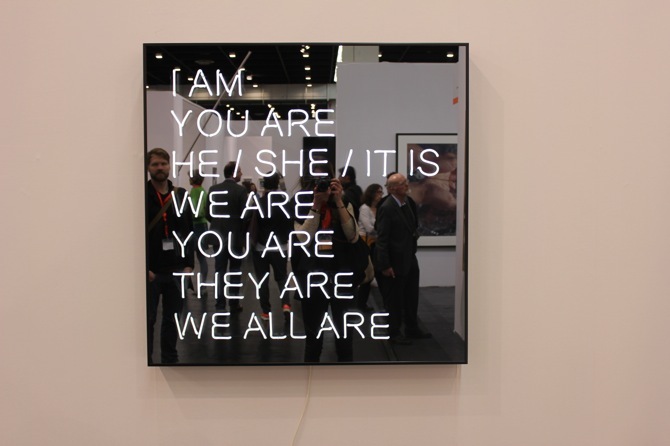 Also Danish conceptual artist Jeppe Hein employs neon in his word-sequence work "Please" to refer to its own materiality (TOUCH NEON) and to the audience's behavior with the medium in an institutional context. 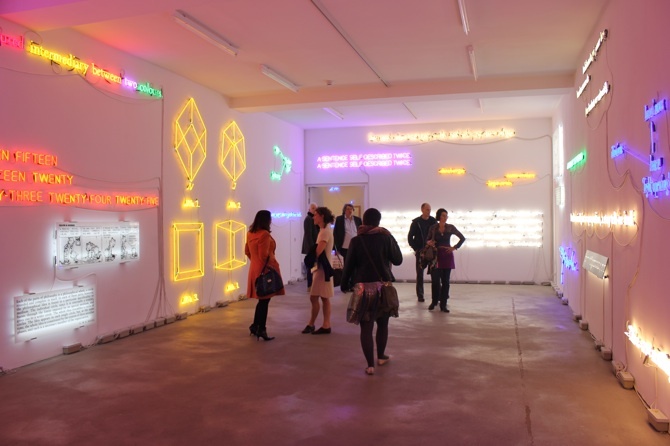 While the history of neon signs is still relatively young and there hasn't been much theoretical work to embrace the development of the medium, it still seems that the popularity among artists has been increasing rapidly. That might be, because it is a good tool to play with words. It will also most likely look very beautiful. 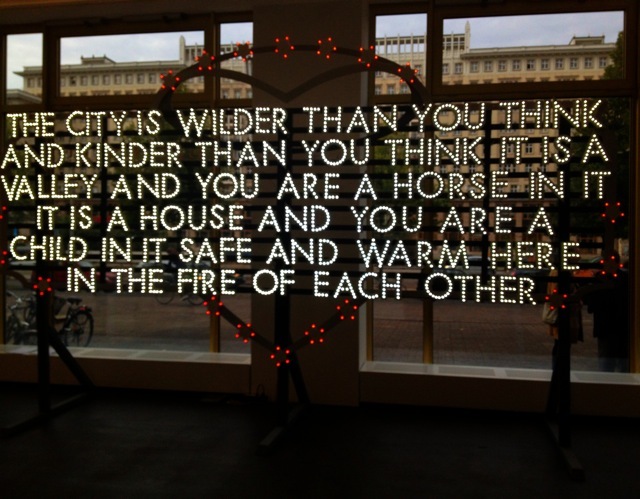 And if the proclaimed statement is smart, then the neon sign fulfilled its tasks. 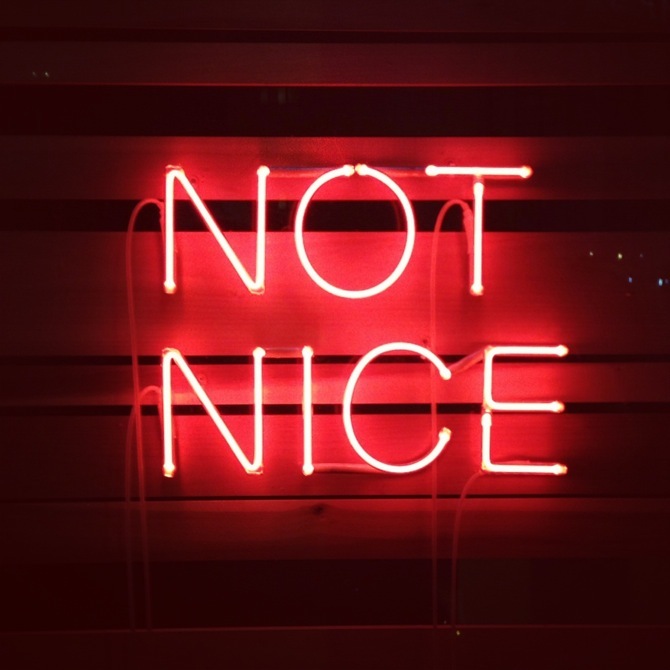 And for those, who are still indecisive in whether they think neon signs are nice or whether they are not nice – David Shrigley already made the perfect neon sign for you.